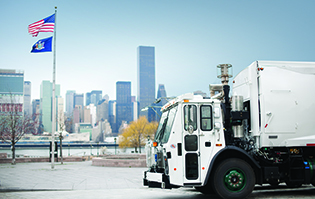 The TerraPro® Series outperforms the competition because it is loaded with Mack advantages of being the largest cab door openings in the industry and a catalyzed exhaust aftertreatment system. 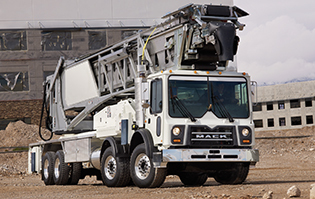 The Mack® TerraPro® is equipped with a work brake that safely speeds up curbside pickups and features the power and fuel efficiency of Mack MP® Engines. 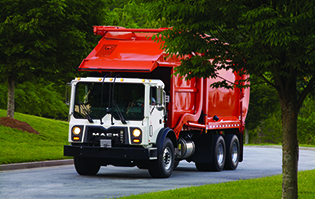 Mack’s comprehensive customer research to design a truck that meets the needs of the job and addresses drivers’ wants. TerraPro trucks can be configured in a number of ways to match the way you work and increase productivity. 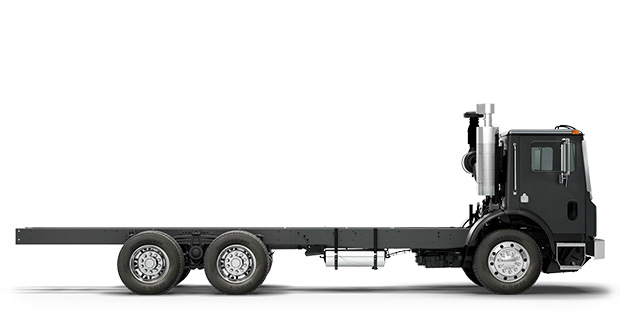 Configurations for the truck include front-loading for industrial use, side-loading for municipal use and rear-loading for commercial uses. The MP® Engine Series is the heartbeat of the Mack® TerraPro®. These fuel-efficient engines deliver horsepower plus low-end torque. The MaxiCruise® engine performs best in on- and off-road applications, while the Maxidyne®engine provides power for high-performance severe-duty conditions, especially in off-road applications.